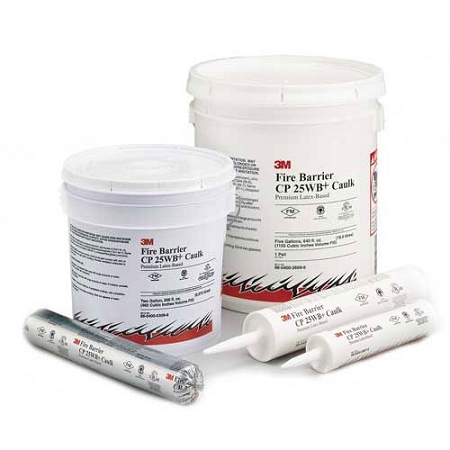 3M­™ Fire Barrier CP 25WB+ Caulk formula is water based and halogen free, this makes for easy clean up and safe handling when applying the product. 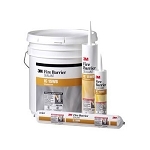 Perfect for overhead and vertical applications, the latex sealant quickly bonds and dries to concrete, metal, wood, and plastic. 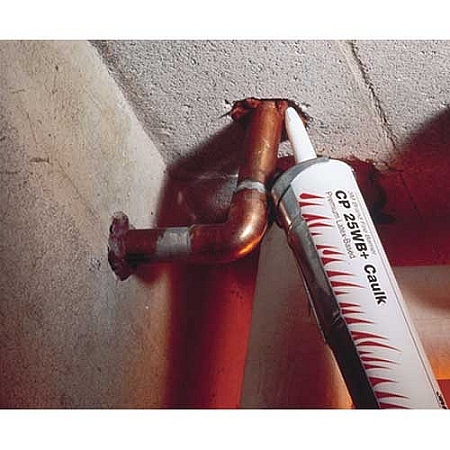 Protecting from flame, noxious gas, smoke and water, the CP 25WB+ Fire Barrier Caulk will expand up to 3 times at 1000°F to seal around parts restoring fire rated construction to original integrity. Please click the "More Information" tab for detailed specs on this product. Meets the criteria of ASTM E 814 Fire Test, tested under positive pressure. Consult current UL Fire Resistance Directory for systems listed under 3M Product CP 25WB+ Caulk.